I’m a little embarrassed to own that when I was 11, I truly thought my letter from Hogwarts would come. I dreamed of all the impossible ways it could get delivered, even though I didn’t know a single person from India who’d gone to Hogwarts. I waited, and I waited, but the letter never came. Then I turned twelve and laughed at how silly eleven year old me had been. 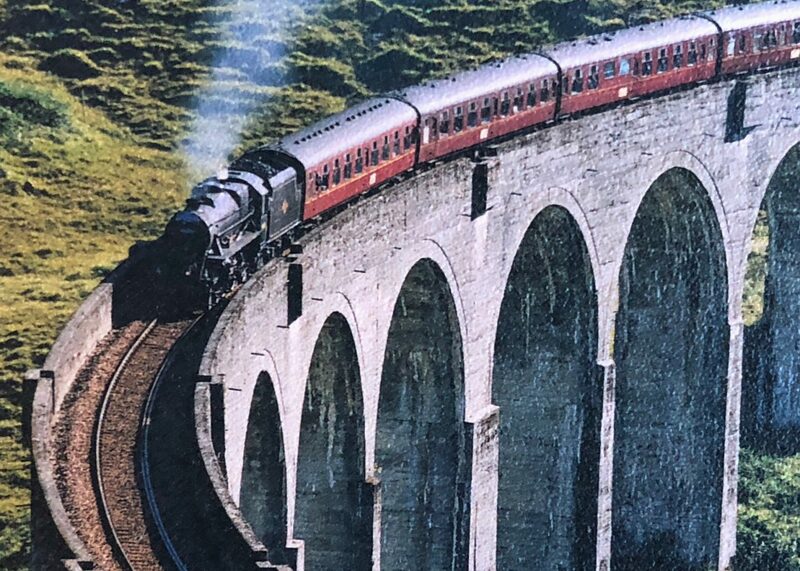 However, I never really got over my Harry Potter phase, and so when I found out that the iconic bridge that the Hogwarts Express chugs along on is actually real – and – hosts the passage of a red steam train four times a day – it immediately got a spot on my bucket list. This is what you’ll see if you get there on time. We did not, so this picture is from a coaster that my dad bought me! This is what I did see however, and it was still worth it! 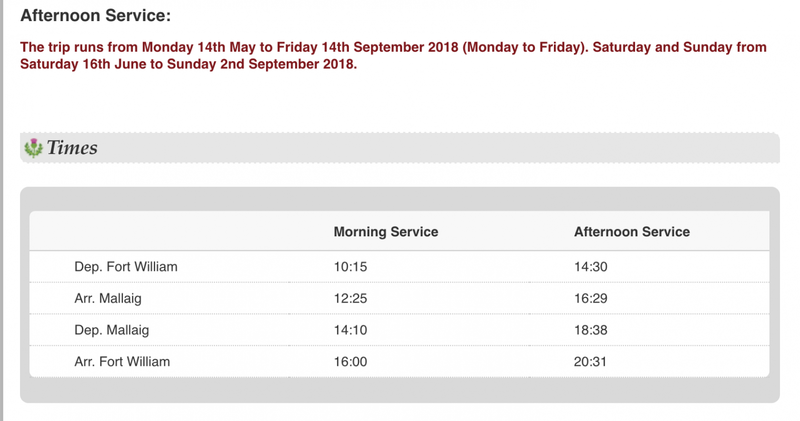 You can find the train timings (they change with the seasons) on the West Coast Railways website. Usually, the trains only run in the summer. Now, to calculate when you’d want to be at the prime spot to watch the train on the viaduct, get there at least fifteen minutes after the train departs Ft. William or an hour before the train is supposed to arrive in Fort William. Since there are two trains in the day, this gives you four options. I’d recommend picking the earlier one in the afternoon, since if you miss that for some reason, you can wait for the next one. For example : As of August 2018, the afternoon train departs Ft. William at 14:30. So you would want to be at the spot no later than 14:45 pm. The train should pass by around 15:05. The morning train then arrives at Ft. William at 16:00 on it’s return journey. It will pass by the Viaduct around 15:20 so you would want to be parked and walking to the view point by 15:00 at the latest. Thus, you see, there are two train sightings within a short period that you can try for. 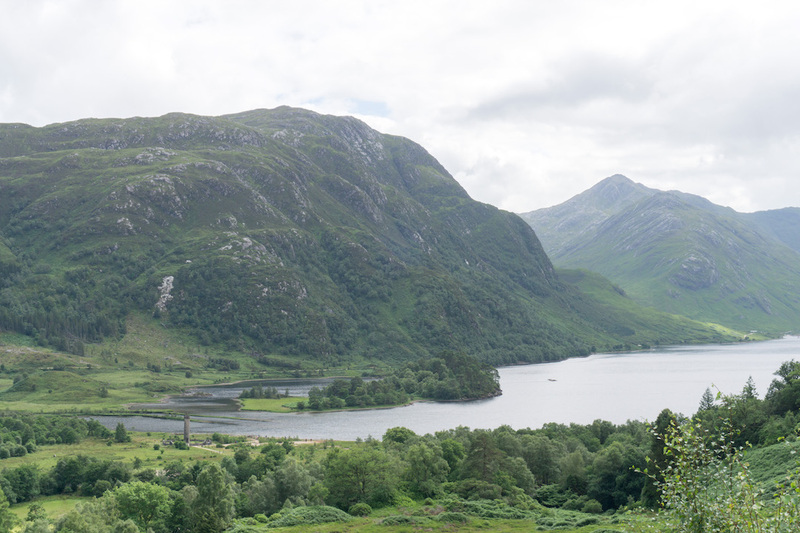 On Google Maps, enter Glenfinnan Monument Parking. 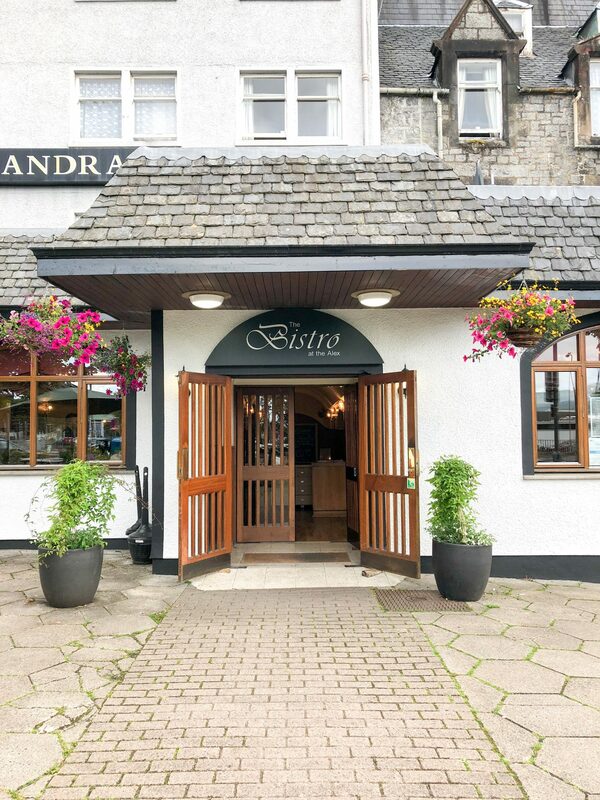 The address is Glenfinnan, PH37 4LT, UK. This parking might be full by the time you get there, so drive on a little bit (about 100 meters) till you see another small parking lot on the same side as the monument parking. This is free parking and hopefully you should get a spot here. At the back of this car park, there is a trail that opens up. 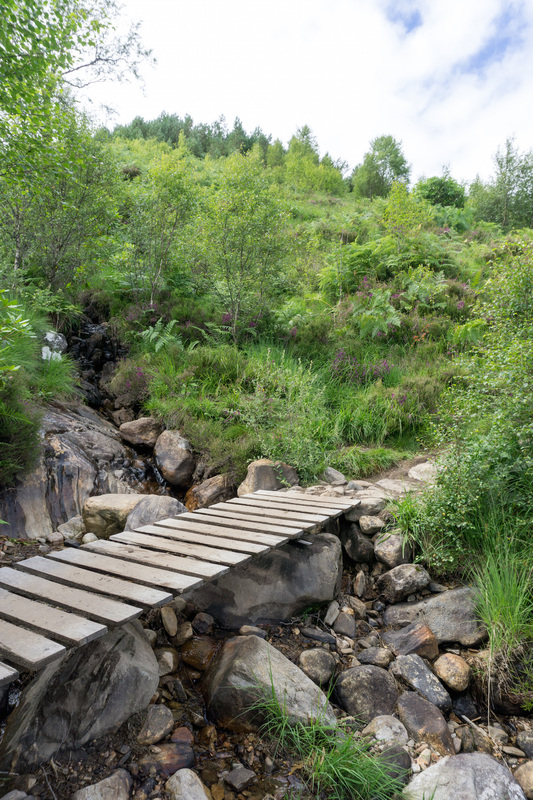 Follow the trail and keep to the left, which slopes upwards. 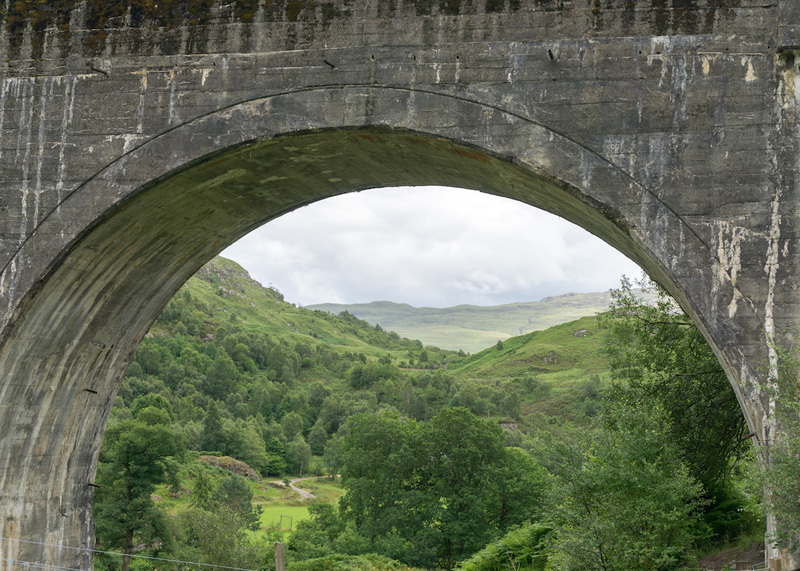 You can’t miss the viaduct from here! 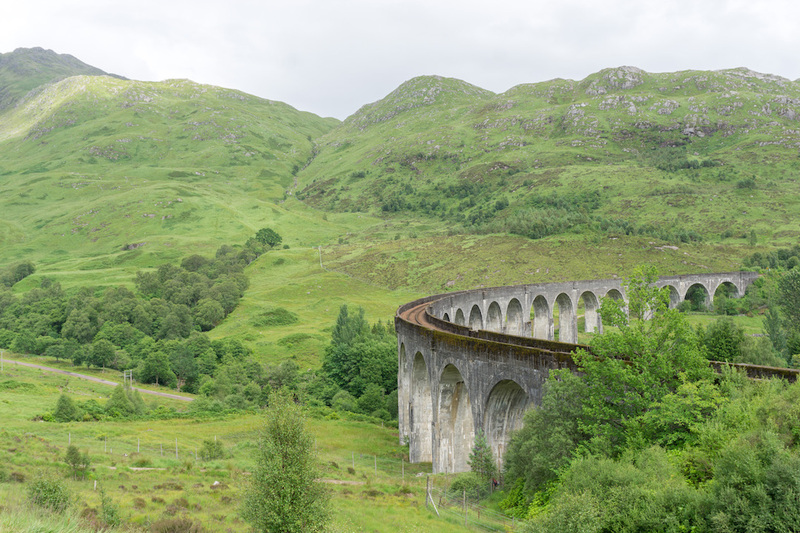 However, if you have time, try out a few different angles before the train arrives – you could stand lower but further from the viaduct, climb closer and get a bottom-up view, or you could climb on though the columns and check out the viaduct from the other side. I think a picnic here would be amazing, especially because there aren’t great food options close by. 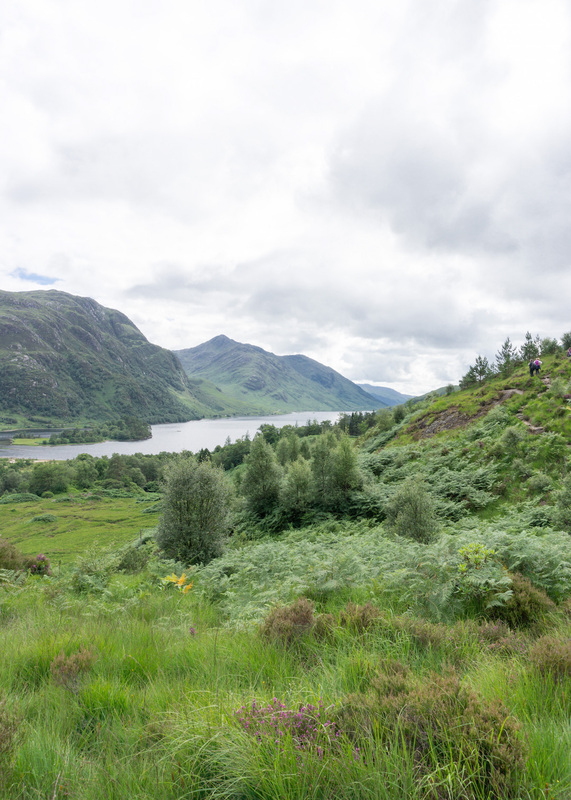 Bring a picnic hamper full of fresh cheese, baguettes, delicious berries (seriously the fruits in Scotland are SO much tastier than in the US) and pastries, and you have a variety of views to choose from. There is an M&S Food Hall not too far away, for picnic supplies. I also highly recommend going up the hill for a short hike. 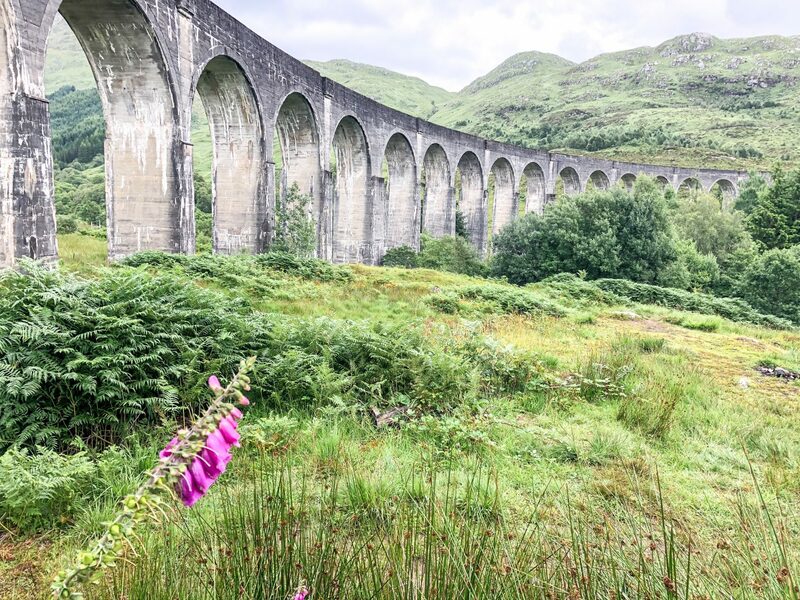 It’s such a pleasant walk, and very rewarding, with amazing views of the viaduct with green hills in the background, Loch Shiel and even purple heather in the late summer! 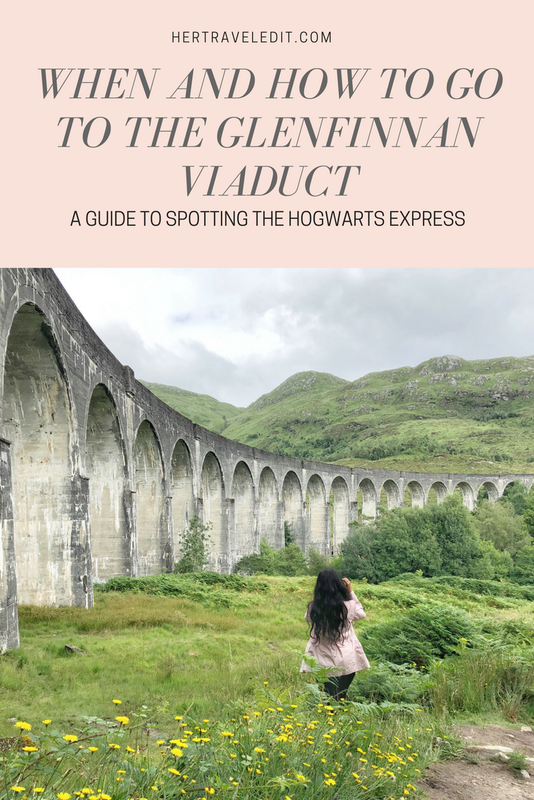 The best part about “catching” the Hogwarts Express at the Glenfinnan Viaduct is that you aren’t waiting around in a boring old train station. 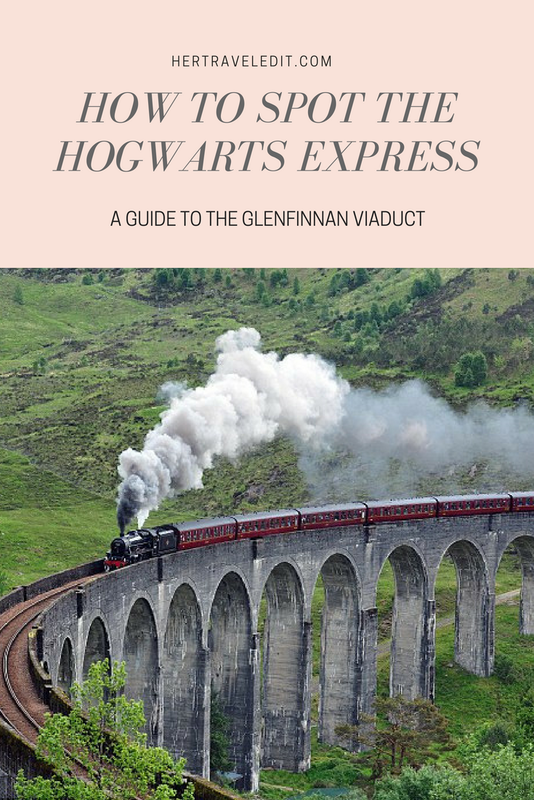 The area is so breathtakingly picturesque, the hike so easy (but hard enough to daunt 90% of tourists) and the experience of a real-life Harry Potter moment so wonderous that your day will be made. And what happens if you miss the train? Well, I did. It honestly doesn’t matter! (My sweet dad bought me the coasters in the picture because he was so sad I missed the train!) 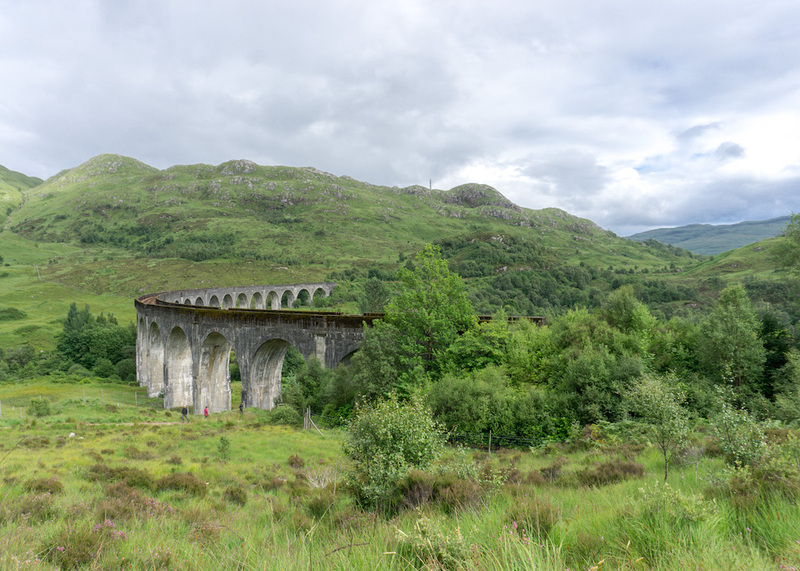 In a way, I’m glad I got to miss all the crowds and see the stunning viaduct in peace! Either way, it’s a win-win. And if you are not a Harry Potter fan? 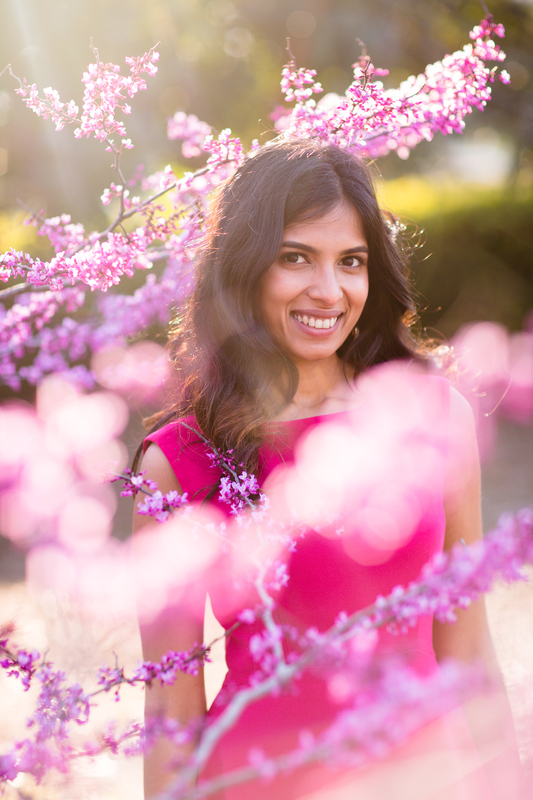 Well, hopefully my pictures convinced you that you should go anyway! If you are still hungry after your picnic, you could head to Ft. William for dinner. I recommend the Bistro at the Alex. We ate Scottish Salmon and fortified ourselves with tea for the drive back. 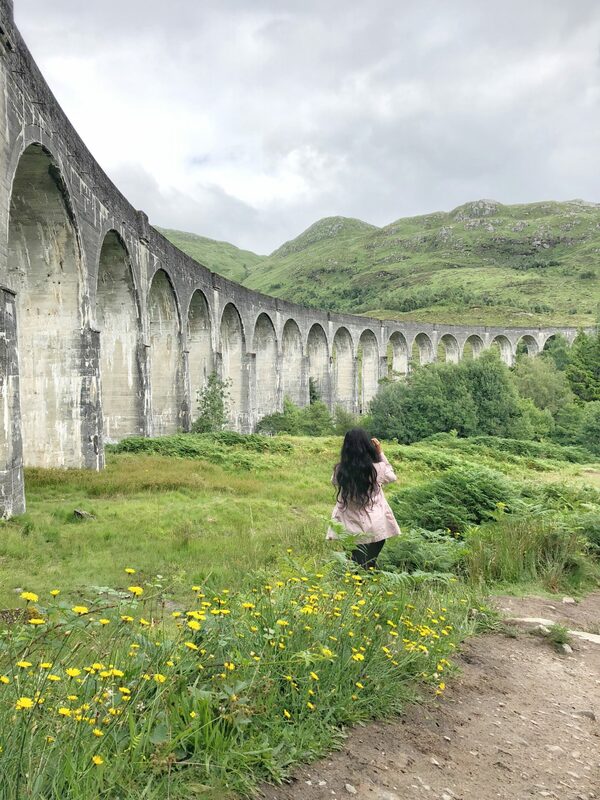 Scotland is just so gorgeous – I cannot wait to share more blog posts about it! 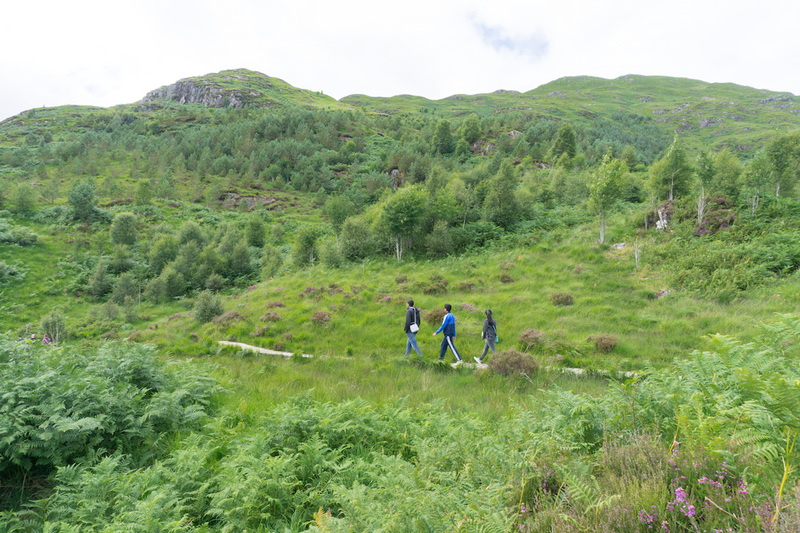 Stay tuned for lots more details about how to spend an amazing five days in the Scottish Highlands! Pin for future reference! 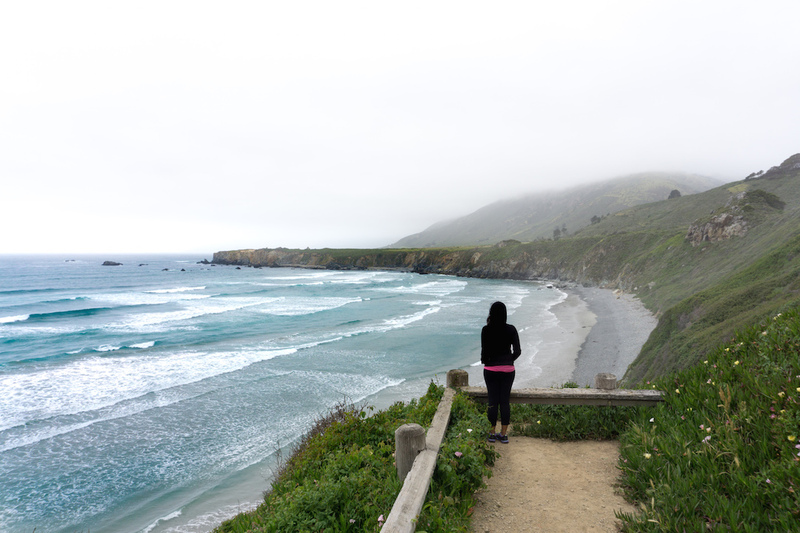 If you don’t know what I’m talking about, read my post on How to use Pinterest for travel planning!